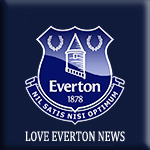 Andre Gomes revealed his conversations with compatriot Marco Silva have given him the confidence and motivation to be a success at Goodison Park after joining Everton on a season-long loan from Barcelona. Midfielder Gomes, an influential member of Portugal’s European Championship-winning team in 2016, has won league titles with Barcelona and Benfica and was instrumental in the Portuguese club’s run to the Europa League final in 2013. “I’m delighted to sign for this fantastic club - it’s a good day for me,” said Gomes. After signing for Benfica as an 18-year-old, Gomes swiftly made 28 appearances before moving to Valencia in July 2014, initially on loan. Over two campaigns, he amassed 78 appearances, scoring three goals. He completed a £29million transfer to Barcelona in 2016. He looks a happy chappy at least. Gomes explained he will “sadly” not be fit for Everton’s Premier League opener against Wolves tomorrow evening (Saturday) and it will be “three more weeks probably” before he can make his debut.